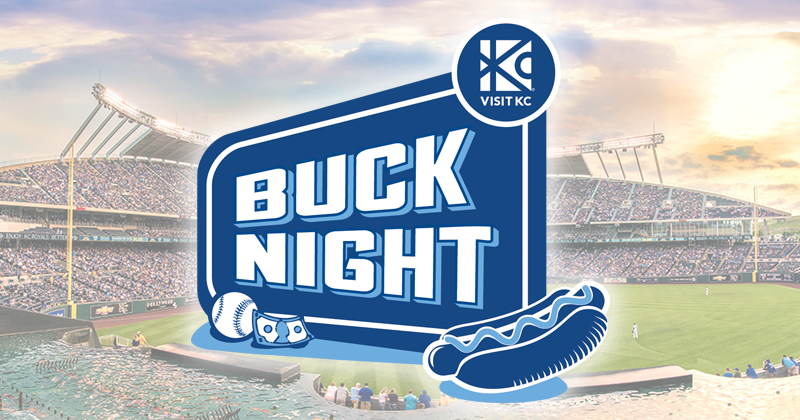 Buck Night presented by Visit KC occurs at every Friday home game for the Royals throughout the season. Hot dogs and peanuts are just $1. In addition, a number of local attractions are providing discounts when you present your Buck Night ticket stub. Check out the schedule below to see dates for all 2015 Buck Nights, and kick off your weekend trip to Kansas City with a night at the K. Go Royals! Enjoy hot dogs and peanuts for just $1 each. Free Admission to Two Featured Exhibitions the weekend of this game only. Mention Kansas City Royals 2015 at the Infro Desk and get your FREE tickets! 47th & Oak, only three blocks from the Plaza. Always FREE general admission!